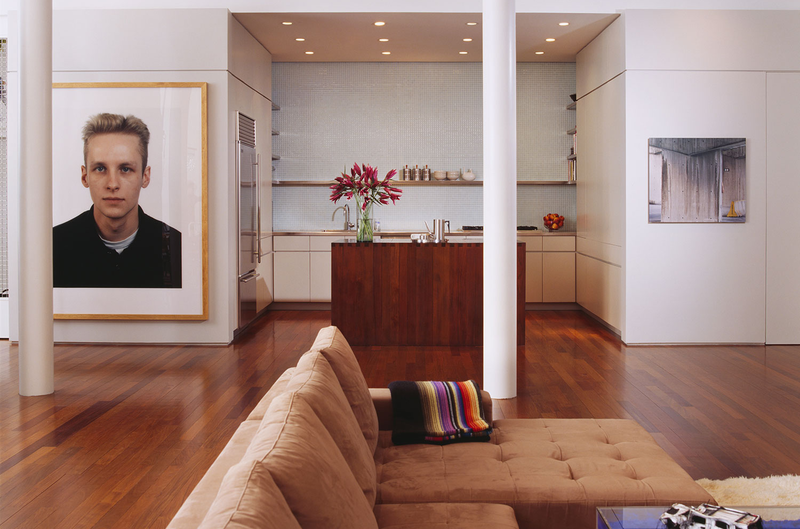 This industrial loft in Lower Manhattan was converted into a light-filled residence for an art-collecting couple. Minimal wall finishes, and an integral picture-hanging rail that lines the perimeter of the space allow for display of a constantly-changing collection. Items such as the TV / media center and a bar are built-in behind concealed sliding or folding panels. A hallway at the center of the space is lined with storage and display areas for smaller works, and features a rolling library ladder for access. A soft palette was used for the wall colors and materials, and unobtrusive lighting was distributed throughout. 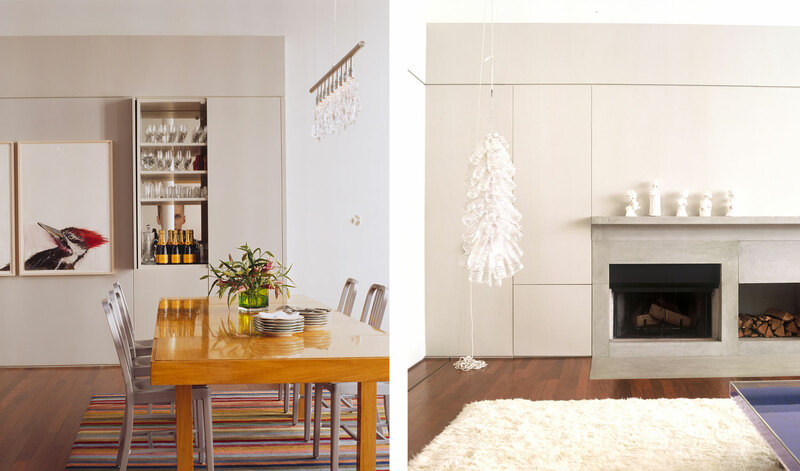 The effect is of a comfortable gallery for living, without the harshness that many minimalist gallery spaces evoke.